Call 911 for ANY Police/Fire/Paramedic service, not just for emergencies. 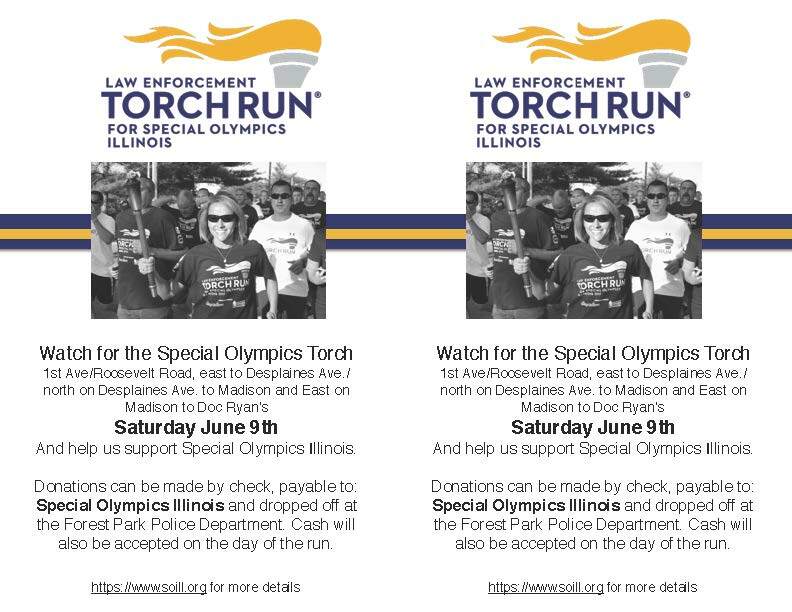 And help us support Special Olympics Illinois. also be accepted on the day of the run.